The Family Education Rights and Privacy Act of 1974, commonly known as FERPA, is a federal law that protects the privacy of student education records. Students have specific, protected rights regarding the release of such records and FERPA requires that institutions adhere strictly to these guidelines. Therefore, it is imperative that the faculty and staff have a working knowledge of FERPA guidelines before releasing educational records. 1) The right to inspect and review the student's education records within 45 days of the date that Trinidad State Jr College receives a request for access. A student must submit to the Admissions and Records Office a written request that identifies the record(s) the student wishes to inspect. The Registrar will make arrangements for access and notify the student of the time and place where the records may be inspected. If the records are not maintained by the Registrar, they shall advise the student of the correct official to whom the request should be addressed. 2) The right to request the amendment of the student's education records that the student believes are inaccurate, misleading, or otherwise in violation of the student's privacy rights. A student who wishes to ask Trinidad State Jr College to amend a record should write the Registrar, who will notify the college official responsible for the record, clearly identify the part of the record the student wants changed, and specify why it should be changed. If the College decides not to amend the record as requested, the College will notify the student in writing of the decision and the student's right to a hearing regarding the request for amendment. Additional information regarding the hearing procedures will be provided to the student when notified of the right to a hearing. 3) The right to provide written consent before Trinidad State Jr College discloses personally identifiable information from the student's education records, except to the extent that FERPA authorizes disclosure without consent. One exception which permits disclosure without consent is disclosure to College officials with legitimate educational interests. 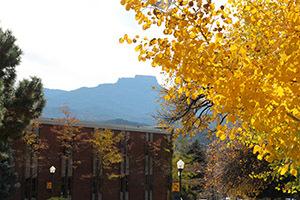 A College official is a person employed by the College in an administrative, supervisory, academic, research, volunteers, or support staff position (including law enforcement unit personnel and health staff); Trinidad State employees’ with appropriate access can view student’s information found in the student information system – Banner. This access is authorized by the Vice President of Academic Affairs or the Vice President of Student Services and is approved only for the College Employee with a right to perform necessary administrative tasks. In addition, disclosure may be to a person or company with whom the College has contracted as its agent to provide a service instead of using college employees or officials (such as an attorney, auditor, or collection agent); a person serving on the College Board; or state and federal agencies, such as the U.S. Department of Veterans Affairs, or a student serving on an official committee, such as a disciplinary or grievance committee, or assisting another school official in performing his or her tasks. TSJC has designated the National Student Clearinghouse as a College official. A College official (includes TSJC advisors for PTK, Alpha Delta Nu Nursing Society, and other honorary or leadership programs) has a legitimate educational interest if the official needs to review education records in order to fulfill his or her professional responsibilities for the College. Upon request, the college discloses education records, without a student's consent to officials of another school in which a student seeks or intends to enroll, or after enrollment. The College may share educational records with parents in the following circumstances: for a student who is dependent under I.R.S. tax code; a student under 21 years old who has violated a law or the school's rules or policies governing alcohol or substance abuse; and when the information is needed to protect the health or safety of the student or other individuals in an emergency. Requests from parents to access student information under the tax code should be sent to the Office of the Registrar. FERPA Annual Notice to Reflect Possible Federal and State Data Collection and Use. As of January 3, 2012, the U.S. Department of Education’s FERPA regulations expand the circumstances under which your education records and personally identifiable information (PII) contained in such records —including your Social Security Number, grades, or other private information — may be accessed without your consent. First, the U.S. Comptroller General, the U.S. Attorney General, the U.S. Secretary of Education, or state and local education authorities (“Federal and State Authorities”) may allow access to your records and PII without your consent to any third party designated by a Federal or State Authority to evaluate a federal- or state-supported education program. The evaluation may relate to any program that is “principally engaged in the provision of education,” such as early childhood education and job training, as well as any program that is administered by an education agency or institution. Second, Federal and State Authorities may allow access to your education records and PII without your consent to researchers performing certain types of studies, in certain cases even when we object to or do not request such research. Federal and State Authorities must obtain certain use-restriction and data security promises from the entities that they authorize to receive your PII, but the Authorities need not maintain direct control over such entities. In addition, in connection with Statewide Longitudinal Data Systems, State Authorities may collect, compile, permanently retain, and share without your consent PII from your education records, and they may track your participation in education and other programs by linking such PII to other personal information about you that they obtain from other Federal or State data sources, including workforce development, unemployment insurance, child welfare, juvenile justice, military service, and migrant student records systems. 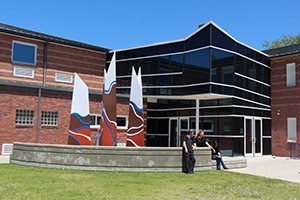 The Colorado Community College System considers the following to be directory information and Trinidad State College staff may disclose this information, without prior consent, to anyone inquiring in person, by phone, or in writing: student name; major field of study; participation in officially recognized activities and sports; Height and Weight if college athlete and high school attended (only for students in officially recognized activities and sports); dates of student attendance, enrollment status (i.e. full-time, three-quarter-time, half-time, less than half-time, withdrawn, graduated or deceased); degrees/certificates and awards student has earned; and the most recent educational institution attended by the student. Directory information is limited to the current academic year only. Additionally, name, address, phone number, date and place of birth, level of education, most recently attended college, field of study, and degree(s) received of students may be released to military recruiters upon request in accordance with the Solomon Amendment. All other information contained in student records is considered private and not open to the public without the student’s written consent. Students who do not want their directory/public information released to third parties or students who do not want to be listed in the College online e-Directory should complete a form to suppress directory information available online or at the Registrar’s Office or Office of Admissions and Records by the first day of the semester. All other information contained in student records is considered private and not open to the public without the student's written consent. Students who do not want their directory/public information released to third parties should complete the Request to Prevent Disclosure of Directory Information form to suppress directory information; the form is available online, at the Registrar's Office, or at the Office of Admissions and Records, and must be submitted by the first day of the semester.